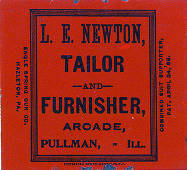 Tag from L. E. Newton, Tailor and Furnisher, Arcade, Pullman, Ill. Manufacturer noted on left side "Engle Spring Gun Co., Hazelton, PA". Noted on right side "Combined Suit Supporter, Pat. April 24, 1888". Silver metal, painted red on one side with black print. The tag was most likely a business or calling card. 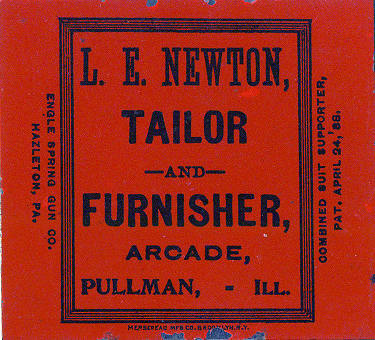 Description Tag from L. E. Newton, Tailor and Furnisher, Arcade, Pullman, Ill. Manufacturer noted on left side "Engle Spring Gun Co., Hazelton, PA". Noted on right side "Combined Suit Supporter, Pat. 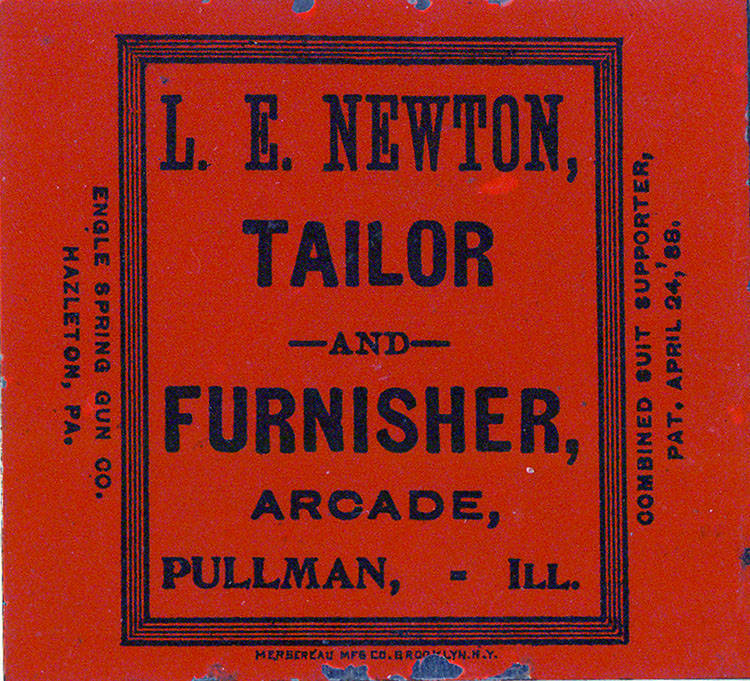 April 24, 1888". Silver metal, painted red on one side with black print. The tag was most likely a business or calling card. Creator Engle Spring Gun Co.